Yeah!!. Its special news to RS 200 and AVENGER customer. Bajaj auto is our homely motorcycle manufacturer has marked this motorcycle day on july 21st ! by announcing professional supervised riding community on 2016. 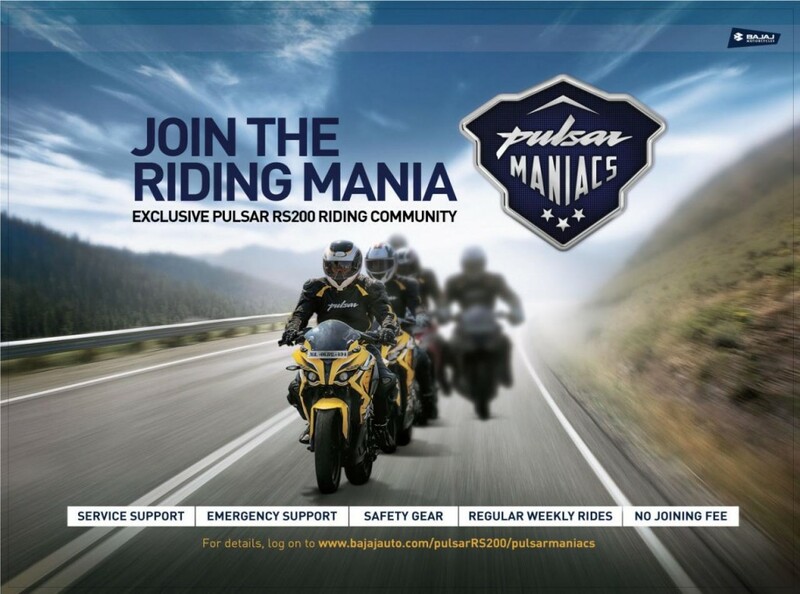 Bajaj starting two official biker groups for their Pulsar RS 200 and Avenger customers. Named .The Pulsar Maniacs and The Avenger Gods (TAG), the first is exclusively for Pulsar RS 200 owners while the others one is for owners of Bajaj’s Avenger series, which includes the Cruise 220 and the Street 220 as well as the Bajaj Avenger Street 150. The two riding communities will connect with owners of Bajaj by organizing rides under the supervision of experienced company officials, who will provide proper riding gear to the riders,road-breakdown service and medical back-up to all members in the groups. As you know that KTM & Royal Enfield who organised such road trip as long ago,but now Bajaj has marked a riding groups to to sort out all problems what they have while they go ride. Bajaj has selected 7 metro-cities like – Delhi, Mumbai, Bengaluru, Chennai, Pune, Hyderabad and Kolkata.These will take members for weekly rides and also to longer trips to experience the joy of riding their Bajaj motorcycles.In upcoming days they extended to other cities too. 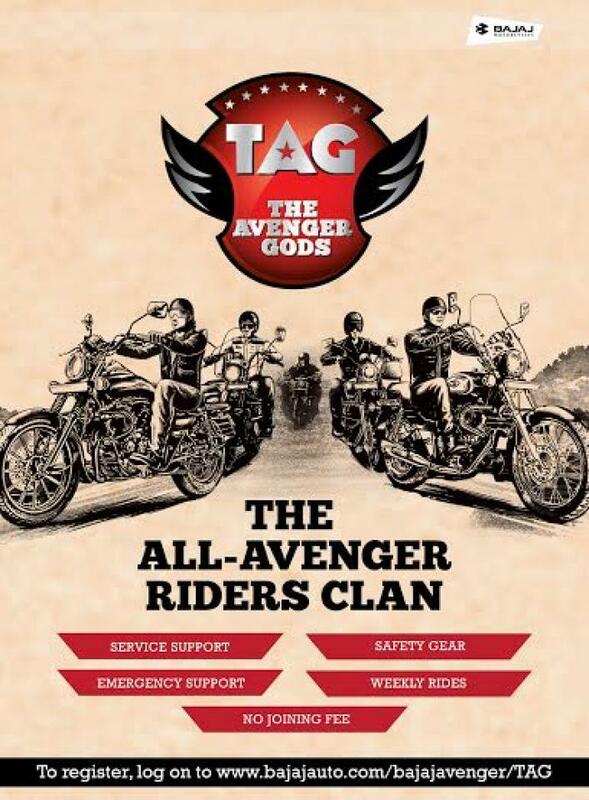 The Avenger Gods (TAG) will also include the Feel Like God (FLG) club, which is an earlier bikers group started by Avenger fan follower.which is actually the tagline of the popular model’s advertisements. The TAG will also organise long distance trips across India.Their first ride is scheduled for 23rd June and which will involve 15 Bajaj Avenger owners riding from Chandigarh to Tirthan valley-adventures route to experience a first ride under TAG. There is no membership fee for joining any one these groups and interested owners can register on Bajaj’s website by putting in their details and their bike’s registration number & another details. Are you owners of RS200 & AVENGER!! !